Region XII COG has been actively involved in implementing and operating housing programs since 1991. The various programs with which we have been involved benefit low and moderate income residents who reside within the boundaries of the six county region or within the corporate limits of one of our associate member communities. The COG operates a number of in-house housing programs, as well as assists member communities in the development, funding, and operation of community-based programs. If you are a homeowner or potential homeowner and are interested in any of the following housing programs, please contact the COG. The COG has a flexible loan fund that can be accessed for a variety of housing projects. Typically, these loans are available to income-qualified homeowners in any of our member counties or communities for 1) home repairs to eliminate health and safety hazards including windows, doors, roofs, furnaces, etc. ; or 2) down-payment assistance to aid in the purchase of a home. The COG has also used these funds to aid developers in the construction of new units and help landlords improve rental housing. This fund remains flexible to best respond to the housing needs of the region. These programs are developed in communities where poor housing conditions and the need for rehabilitation has been identified. The cities apply for and receive grant funds to provide Income-qualified homeowners assistance to complete substantial repairs to their homes. Assistance varies with the grant program, but is generally provided as a forgivable loan. 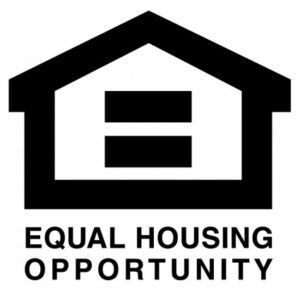 These programs are developed in communities or counties that have identified insufficient down payments as a barrier to homeownership for low and moderate income families. Assistance varies with the grant program, but it typically provided as a forgivable loan to potential homeowner as gap financing between loan amount and the cost of the home. Region XII can also assist in the development or rehabilitation of rental projects. Staff members can help develop a financial package utilizing a variety of funding sources. The COG can help with the development of new single family homes and subdivisions, providing technical assistance in grant writing, financial packaging, and marketing. Region XII COG has available funding to make partial construction loans to contractors for new speculative homes. Contractors or developers can receive a loan of up to $20,000 towards construction costs at a low interest rate. Region XII COG’s housing inspectors are certified in lead based paint inspection. Please call the housing staff at 712-792-9914 for availability on each of these programs in your community.